As one of Europe’s leading online smartshops, Zamnesia is launching a new and improved website on the 14th of April. In addition to substantial improvements in the technical and design aspects of the site, the company will be celebrating the relaunch with an exclusive period of discount. Zativo & Zamnesia will soon be accepting BitCanna Coin as a form of payment. As the world begins to integrate blockchain technology, we decided to ride along. The Global Drug Survey 2017, the biggest and most in-depth study to date, reveals how Magic Mushrooms are statistically the safest illicit drug you can take. Brace yourselves. Sweet Seeds just released 5 new dank strains. Click here and check out the amazing new-school dank, ready for experiencing. Are you tired of growing the same old cannabis strains, but can't find suitable high-quality replacements? Well, dear reader, allow us to offer our assistance by presenting you 7 all new medical and recreational cannabis strains by master breeders Dutch Passion. Franco Loja, known for his work for Greenhouse Seeds and lately as a "Strain Hunter", together with Arjan Roskam, passed away yesterday (January 2 2017). Franco succumbed to Malaria while working on a anti-malaria project in Congo. 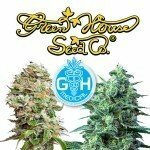 In the past Greenhouse Seeds has mostly been focusing on THC rich strains, but now, after a lot of hard work and just before summer, they managed to treat us with 5 new CBD-rich strains. Check 'em all out here! 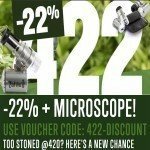 422 Promo: 22% Discount + Free LED Microscope 60x! What are your plans for 420? A wild guess: They involve you, your friends, and a substantial amount of cannabis. Well, sounds like a perfect day. But before you get lost; check this out... Today ALL orders get a 22% discount + free LED microscope 60x! And as always; delivery is Free, Fast and Discreet. The world has lost a truly inspiring man. Howards Marks, or Mr. Nice as most of us have known him, has died of cancer at the age of 70 and looks back on a life of “no regrets”. 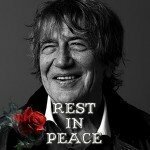 Howard Marks announced that he had been diagnosed with inoperable bowel cancer in 2015 and sadly passed away on April 10th 2016. Visit us at Spannabis 2016 in Barcelona! Upcoming weekend Barcelona will once again host what has become the world’s largest fair in the cannabis sector: Spannabis. This year it will already be the 13th edition again. 17.000m² filled with cannabis(-related) products, 200+ companies are represented and more then 35.000 people will visit this fantastic cannabis fair. This is going to be an event to remember... And yes, we'll be there too!